A Final Fantasy XII HD Remaster was a fairly safe prediction to make, given the success of Square Enix’s other PS2-to-current remasters. There’s another simple thing we can see here as well: FFXII HD will be a remaster of the game’s “International Version,” called Final Fantasy XII International: Zodiac Job System. Take a look at Final Fantasy X, Final Fantasy X-2, Kingdom Hearts, Kingdom Hearts II, and Kingdom Hearts: Birth by Sleep. All of them received International Version (FF) or Final Mix (KH) re-releases that were kept out of North America, and all of them used their updated versions as foundations in HD remasters. It’s not hard to see where this trend is pointing. It will be a huge shock if Final Fantasy XII HD stands against the constant pattern. So what’s in that Zodiac Job System release I spoke of? Well, conveniently, I’ve played that game and can tell you just that. Oh, right, and HD graphics. Duh. As with any Final Fantasy, reception of XII was kind of divided, and such was again the case with Zodiac Job System. For me? The re-release added improvements that make it the definitive version. It’s tough for me to go back to the regular game, even though I loved it upon first play. 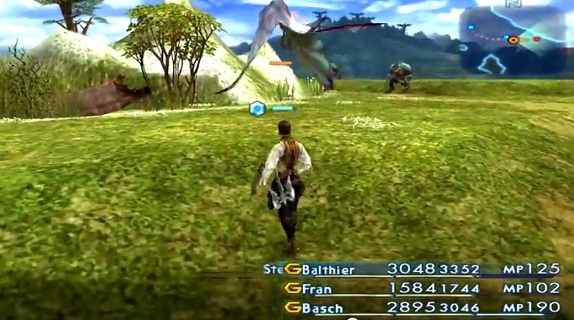 If you also played this version of FFXII, share your own thoughts. If you’re like the vast majority of non-Japanese FF fans and have not played FFXII: Zodiac Job System, however, then get ready to see a lot of fundamental changes when you play Final Fantasy XII HD Remaster. There’s no official announcement, but I’d bet this is probably the version we’re getting. Perhaps it’ll be like FFX, which included the Expert Sphere Grid but also allowed players to turn it off? I suppose time will tell.